Celebrating more than a quarter century in customer service as both a Custom Cabinet Maker and a Cabinet Door Shop, we are dedicated to designing and building both new home construction cabinets or the smallest remodel job. We also have a wide variety of Custom-made Cabinet Door Styles to choose from and we will build to suit your precise measurements. We have a track record of long-term relationships with both our Contractors / Customers and employees, as some of our employees have been with SCC for nearly two decades. As a distinct designer in Custom Cabinets, our designer / builder has over 40 years experience in cabinet designing / building and started SCC in 1984. With a proven track record of integrity in business, we are a word of mouth company with no outside advertising. 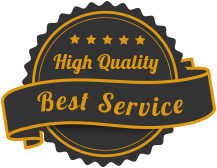 We feel that quality of craftsmanship, service efficiency and competitive pricing equals the top value for our customers. Please note: all of the photos in our web gallery are from actual jobs that we have built and completed. We have not used any stock photos for the images included in our web gallery. All Rights Reserved. Copyright © 2009 Sunshine Cabinets Inc.